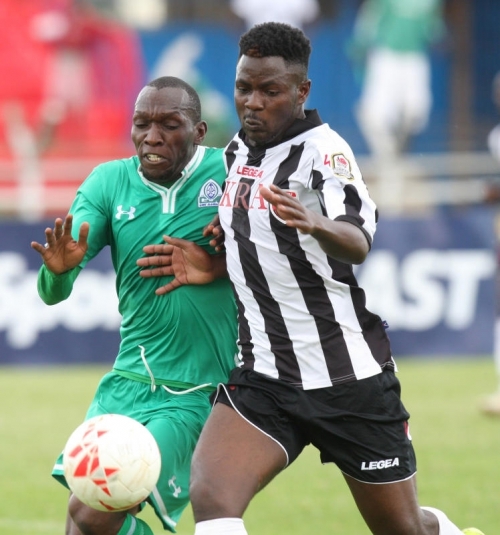 Gor Mahia will take on Ulinzi stars on Saturday in what promises to be a difficult encounter. Ulinzi are in good form and are third in the table. On Monday Gor Mahia warmed up for the encounter by beating Nairobi Stima 3-0. The match was an opportunity to give players who did not play over the weekend an opportunity to stay sharp and play their way into the starting line-up. Having a strong bench is good for the club because as the league proceeds, players will start to miss matches due to injuries. Gor Mahia won 3-0 with goals from George Odhiambo, Timothy Otieno and Bernard Odhiambo. But Frank Ouna knows that Ulinzi will be a difficult proposition and the team is preparing accordingly. And coach Frank Matano is always heavily motivated to play against Gor Mahia, something Ouna is well aware of. KPL players will now be doubly motivated to play well. Sports Journalists Association of Kenya and betting company SportsPesa on Tuesday launched a monthly KPL player motivation programme that will see performers earn cash prize of 50,000 shillings, a 42 inch Television and a special trophy. The partnership, which will be renewed annually and is aimed encouraging competition and hard work amongst players in the top tier Kenyan league. “We have been in the local market for one and a half years and it is now time to engage in some Corporate Social Responsibility ventures in football and boxing. We are going to put more money next year and we look forward to a good partnership,” said Kester Shimonyo to the Standard. Shimonyo is the chief marketing officer of Sportpesa. According to SJAK secretary General Mike Okinyi, a special panel of judges will be picked from football writers who will also rely on statistics from the governing body KPL to make meritocratic judgments. Judging who is the best player in the league will require a keen eye among journalists. The lazy journalists ones or the ones who are not knowledgeable enough will only go by who is scoring. But as Chairman Ambrose Rachier said during the occasion, there is more to being a good player than pure statistics. “This is a good initiative that will impact positively in the field. It is not about the scores but the performance, work rate and the contribution of the players in the league. It will go a long way in improving the standards of football in the country,” said Rachier. Gor Mahia’s Scottish coach Frank Nuttall is happy with the 2-0 win over Ushuru that put three more points in Gor Mahia’s bag. But as usual, Nuttall is taking a long term perspective with the full understanding that there is stilla long way to go. “Three points are always welcome and I am grateful that the players did well to get them which gives us an edge, keeping us at the top of the standings. The performance was really great and encouraging and will motivate us going to the next matches. Nuttall thinks this was the best match Gor Mahia has played this season. “So far in the season I think this was our best performance of the season and I am very impressed. We have shown good consistency and I want us to continue that way; our focus now shift to the next game,” he said. Gor Mahia have indeed come a long way this season. In January, Gor Mahia signed several new players, many of whom dissapointed. The team was playing poorly as coach Nuttall told fans that the team was still gelling. But fans were losing patience as Gor Mahia lost to teams like Bandari and left fans asking how long the team was taking to gel. Clearly Nuttall knew exactly what he was doing. The forwardline combination of Kagere and Olunga is starting to gain an understanding and even the defence is now starting to learn how to play with each other as evidenced by their recent clean sheets. 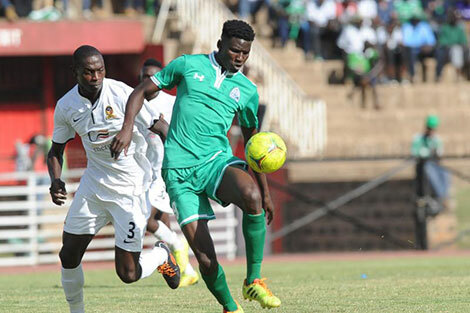 Gor Mahia returned to their winning ways when they beat Ushuru 2-0 at Nyayo stadium. And the win came against the backdrop of players staging a go-slow to demand payment of salary and bonus arrears. Players had initially staged a sit-in and it was not clear whether they whether they would eventually take to the field. But when Gor Mahia eventually took to the field, they immediately took command of the game. Barely a minute into the game, Michael Olunga met a cross from Meddie Kagere but his header crashed against the post with the Ushuru goalkeeper Samuel Odhiambo left hapless. In the 6th minute, Geoffrey Walusimbi picked up a pass from Ali Abondo. But his effort was foiled by Richard Mboyi. The Ushuru custodian was kept busy having to pull off saves from Sibomana and Meddie Kagere. But the deadlock was finally broken in the 31st minute when Michael Olunga intercepted a pass from David Otieno. The latter was attempting to pass the ball back to his goalkeeper. But he mistimed his pass. Olunga pounced and scored. Gor Mahia went into the breather leading 1-0. When the second half started, Gor Mahia picked up where they left off. The duo of Kagere and Olunga combined once again resulting in Olunga setting up Kagere to score the second goal in the 46th minute. With Gor Mahia taking a 2-0 lead, Ushuru started make desperate attempts to come back into the game. Ushuru’s best attempt came in the 70th minute when Hussein Mohamed sent a fierce shot towards the Gor Mahia goal. Boniface Oluoch was forced to dive and parry the shot. Ushuru continued to pile the pressure and Collins Okoth “Gattusso” was cautioned by the referee for a rough tackle. Second half sub, Evans Kiwanuka gave Gor Mahia some fearful moments. First he hit the crossbar with a fierce header then minutes later he forced Boniface Oluoch into yet another save. Gor Mahia were able to maintain a clean sheet in large part due to Boniface Oluoch’s heroics. 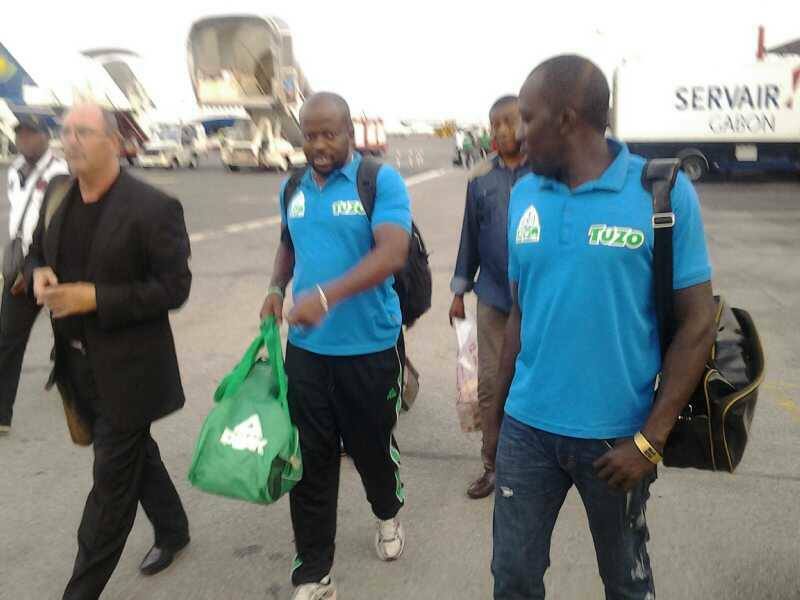 As Gor Mahia prepare to play Ushuru FC on Sunday, all is not well in camp. Players are disgruntled due to what they call lack of good communication from officials about salary and bonus arrears. Team EC member Ronald Ngala has assured that the officials are working diligently to resolve the issues. That notwithstanding, there has been complains of money disappearing from the gates. Some officials are said to be printing fake tickets and selling them hence denying the club revenue. In fact many of the troublemakers who were hurling foreign objects and nearly caused stoppage of the match against Sofapaka are said to be people who bought fake tickets. Despite these reports, the officials who are said to be creating fake tickets have yet to be named. 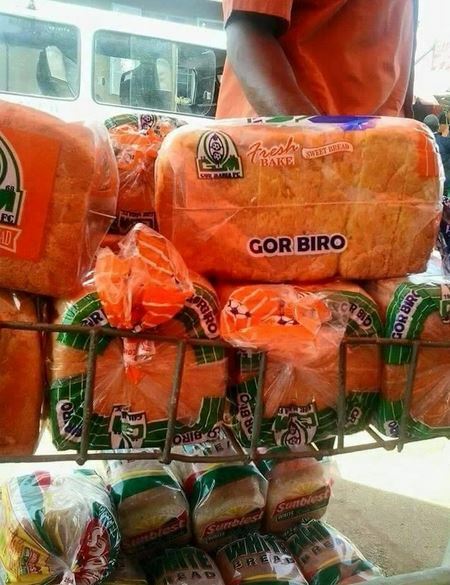 Gor Mahia bread is already a best seller. According to a report on capitalfm.co.ke, the bread has been selling 130,000 loaves per day since it was launched. Club official Ronald Ngala told Capital Sport the novel sponsorship deal in local football is pushing 130,000 pieces. Ngala mentioned that the club is still seeking other sponsors. To stem misappropriation of funds; Gor will be conducting monthly audit before the 10th of every month the Ngala added. That is good news for Gor Mahia fans who are always concerned about misapropriation of funds. Nothing would derail the enthusiasm of fans buying bread than reports suggesting the funds are being misused. Secondly the club will now have to watch out for pirates. In 2010, Gor Mahia introduced jerseys branded with the club’s name. The project was initially succesful until pirates started to sell fake jerseys. And before you know it, fans were only buying fake jerseys since they came cheaper. And now there are reports of club stewards peddling fake tickets during the Gor Mahia – Sofapaka match. Another area of concern is price gouging. There are already reports of the bread selling for Ksh 50 in Homa Bay instead of the proposed price of Ksh 38. There are stories of a supplier in Umoja who managed to get some of the bread and is selling at Ksh 50. Back in the Mid 1990s, Gor Mahia introduced ball point pens branded with the phrase “I support Gor Mahia”. Some of the vendors outside the stadium brazenly sold them for twice the proposed price. And as mentioned before, if this project is succesful, there could be room for other projects including milk, soda or maize flour. Soon a person could stock his kitchen with Gor Mahia branded products. Newly signed Gor Mahia striker Mike Olunga is working on sharpening his finishing in front of goal. Olunga has been faulted for missing several chances. Lack of composure in front of goal may be a factor. He is currently the third leading scorer behind Ali Abondo who has scored 10 and Kagere who has found the back of the net four times. His best match was the season opener against Mathare where he scored twice. “I have so far scored three, I know I could have scored more if I took the chances I have had, but as I said I am working on my final touch and I know I can only get better,” he added. But Olunga is not just obsessed with scoring. Being a team player and playing according to the instructions of the technical bench is more important. “My job is also to assist my team mates. I will be happy if I assist my team mates and eventually win the league, than become the top scorer and lose out on the league title. Indeed Olunga has played well so far. He is a headache for defenders and they often have no choice but to drag him down resulting in free-kicks or penalties. Olunga scored 9 goals while playing for Thika United last season and fancied himself scoring more this year. “I always thrive under pressure and in my opinion, Gor will help me shine. I am sure if I was here last season and scored 10 goals, I would have been a regular in the national team,” said Olunga. I believe in myself, I believe I can do well and I will score many goals. Their playing style suits mine and I look forward to a great season. I am not putting myself under pressure to replace Danny (Sserunkuma) but I will do my best,” said Olunga in January. The towering Olunga is one of the tallest players ever to play for Gor Mahia. Perhaps the tallest. He can be very useful in corner kicks, throw ins, dead ball situations. Coach Nuttall should work with him on this aspect of his game and perhaps even invite legend Peter Dawo to offer Olunga tips. Once Olunga sharpens his aerial skills, coach Nuttall should work with wingers and full backs to deliver precise crosses that target Olunga when possible. At age 21, Olunga still has plenty of opportunity to sharpen his skills if he chooses to work on his game. He can go places. Gor Mahia striker Michael Olunga will not be in the traveling squad as the Kenya U23 team travel to Botswana for the opening round of the 2016 Olympic qualifiers. The Kenya Under-23 team departs for Lobatse via Gaborone this evening ahead of tomorrow’s preliminary, first leg clash at the Lobatse Sports Complex. Team Kenya is coached by former Gor Mahia coach Bobby Williamson. Olunga, who studies Geospatial Engineering at the Technical University of Kenya,has been excused from the match this weekend, due to end of semester exams. As for Gor Mahia fans, they will likely not be dissapointed that Olunga will not travel to Botswana.Staying in Kenya will leave him more rested for Gor Mahia’s next match. The last time the Kenya U23 side competed was against Egypt when Kenya lost 4-1 on aggregate. Two Gor Mahia players, Olunga and Timothy Otieno played in the return leg at Machakos. Olunga proved a handful for the Egyptians. Kenya’s goal which came from a penalty was scored as a result of Olunga being brought down in the penalty box. In Olunga’s absence, coach Williamson will depend on Enock Agwanda whose form of late has been below expectations especially for a player who 3 years ago was touted as the next Dennis Oliech. Coach Williamson for his part has yet to impress as Harambee stars coach and will be hard pressed to conjure up a result. “To be honest we never played that badly against Egypt. The lessons learnt from those games is that it is important to get something in the away matches. Our recent friendly fixtures in Seychelles will be key” Williamson told Daily Nation Sport. Of late, Kenya’s record against teams from southern Africa has not been stellar. Last year it was Lesotho who eliminated Kenya from the AFCON 2014 qualifiers and in 2013, Botswana beat Kenya 2-1 in the COSAFA cup. 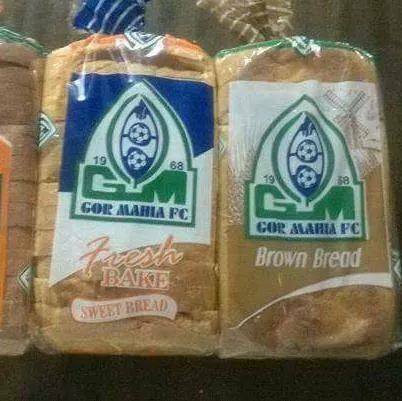 The much vaunted Gor Mahia bread has finally been launched. ODM leader Raila Odinga officially launched the bread in Kisumu City. “As you know Gor Mahia have had no sponsors and I was in India to talk to the India Chamber of Commerce and Industry, they wanted to know where they can invest and help provide jobs to our youths,” said Raila Odinga. “I met there my friend Srinivasa Reddy of Good Bread Kenya and they showed their interest to partner with Gor Mahia and that is why we are here today to launch Gor Mahia Bread.”said Raila to the Standard. Raila, who was in India last month, said after meeting Indian Businessmen, he pitched for them to help the club and he was happy to have secured one immediately. Raila stated that he also wants AFC Leopards to get stronger in order to strengthen Kenya football. “I also want AFC leopards to get stronger so that we can have a quality league. I believe we have talent in our country that can equal that of Messi, Ronaldo or Sanchez. We should help get these players out and provide them the platform to showcase their talent. “But lack of sponsorship has forced us to think outside the box and we want our players be paid well just like their friends in Europe,” said Raila. Mr. Reddy said their company, which operates in the Nyanza, Western and Rift Valley regions, will start producing Gor Mahia Bread and urged fans to embrace it. He urged fans to support the initiative. “Please the more you buy it the better for your club. We intend to sell over 140,000 breads daily. That in a month will translate to over Sh4 million that will go towards the club. “We want to do business and you will help us get this amount to the club,” he said. Gor Mahia Vice Chairman John Pesa said Nairobi area will also be incorporated soon to help widen the market scope, targeting areas where the clubs fan base is. “We expect the figures to increase depending on the market response. We have 27 players and we are struggling to pay their salaries and allowances,” said Pesa. For Gor Mahia fans, this is yet another opportunity to support the club. This is especially true for those fans who for whatever reason cannot make it to the stadium. If this initiative is succesful, there will be other companies that will come forward to do business with Gor Mahia. If the project fails to reach its target, Mr. Reddy and his group will promptly pull the plug. 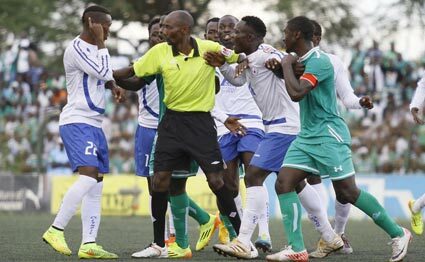 Gor Mahia have raised the red flag with regard to poor officiating in the Kenya premier league. Club official Ronald Ngala says there is too much poor officiating and nothing is being done about it. “This issue of poor officiating is becoming too much now and it is being caused by unqualified referees. Every time we complain no one lends an ear to our complains,” Ngala told goal.com on Monday. Ngala also took issue with the fact that four out of seven of the club’s matches have been officiated by one referee. An FKF official confirmed that they have indeed received complaints from several clubs. We have received a letter from Tusker and understand that several clubs are not happy with officiating in Kenyan Premier League. The official further went on to say that another test will not be conducted until June. According to the Daily Nation,none of the 16 centre referees, 24 assistant referees and 16 match commissioners drafted to officiate in this season’s league matches are accredited by Fifa. In contrast, Kenyan referees who are sanctioned by Fifa continue presiding over matches in the Football Kenya Federation Premier League. The head of FKF’s Technical Committee, Elly Mukolwe, on Monday confirmed that none of the match officials under the KPL roster has undergone the mandatory tests required of top flight league referees, which is a violation of the Fifa statutes. “They know the truth. I can say without fear that many of those referees have been brought back from retirement. Some failed even the local Member Association fitness test,” he said. Both Gor Mahia and Sofapaka had reason to be disgruntled. Poor officiating is a stain on the league’s reputation. If the league is perceived as poorly officiated, the resultant public relations stain can affect public interest, sponsorships and attendance. But even more importantly, the league aficionados should understand that football is an emotional sport and poor officiating can lead to crowd trouble. And this is not unique to Kenya. And the club officials are best placed to handle this issue. Ambrose Rachier is after all the current KPL chairman. Officials of all clubs have a direct say in how KPL is run and can petition FKF for better referees. It appears that many fans have still not learned from the travails that the club has gone through over the past year. Club officials have gone from one corporate to another seeking sponsorship to no avail. One of the key reasons the club cannot garner sponsorship is precisely due to crowd trouble both inside and outside the stadium. What is worse is that this time, the people who tossed foreign objects into the field were fans in the main stand and not fans in Russia. You would typically not expect this kind of behaviour from fans who sit at the main stand. These are the fans who should understand the club’s precarious situation. There are literally hundreds or thousands of the club’s enemies who cannot wait for slightest sign of crowd trouble to flock to social media to besmirch the club. Some of this politically and/or tribally motivated. These kind of people were actually disappointed when the recent mashemeji derby came and went without incident. The fact that Mathare United recently penned a ksh 75 million sponsorship deal despite not having a fan base and despite not having the history or pedigree of Gor Mahia should have made it obvious to fans now. Mathare got the sponsorship with very little effort because they have an excellent reputation. Media reports suggest that it was Britam who came seeking a partner. Under normal circumstances, companies would be lining up to sponsor Gor Mahia. Aside from sponsorship, the club could face the real prospect of being punished by losing point or having to play in an empty stadium, something that the club cannot currently afford. There is also the possibility of sanctions from CAF or FIFA. It is understandable that fans would be unhappy with poor refereeing. Football is after all a sport that can engender all kinds of emotions. But given the club’s current situation, fans ought to know better.